Adventures in Writing Camp is excited to come to Bethel Lutheran School this summer! This Cupertino location will have first grade, elementary, and middle school programs! Our team of credentialed teachers, musicians and college students is ready to help new campers build confidence and fall in love with writing, and help returning campers continue to develop as writers! Only 1 space remaining in 1st grade! 2nd Grade is FULL for this camp! 3rd Grade is FULL for this camp! Only 1 space remaining in 4th grade! 5th Grade is FULL for this camp! 6th Grade is FULL for this camp! Only 1 space remaining in 7th grade! 8th Grade is FULL for this camp! Craig Kabert is very much looking forward to his new role as the Site Administrator at the Bethel Lutheran location. 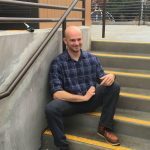 During the school year, he teaches and is attending San Francisco State University to obtain his Special Education Credential. Craig has been teaching and working in public, private and charter schools for the past eight school years. He plans on using this experience to help make camp an inspiring and fun experience for his campers and staff. At any given time of day you may find Kristina dancing, singing to herself, or telling a 'punny' joke. 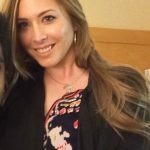 Kristina graduated with a BA in Diversity of Communication from San Francisco State University and looks forward to one day returning to receive her Masters. Meanwhile, Kristina teaches all ages and levels, ranging from Transitional Kindergarten to AP Literature for Fremont Unified School District. Her long term teaching experiences are just some of the spectacular adventures she has embarked on. She is also a dance teacher! Yes, you heard correctly. If you are lucky she just may teach you a shuffle or two! All in all, Kristina is very excited to join us as we embark on this linguistically creative journey. Oh! And she loves Disney tunes... both in and outside of the classroom! Originally, I am from Daly City, and recall spending my early years climbing up and down rocks to get to the beach. My other hobbies include washi doll making, poetry, short story writing, and beginning harp. I have wonderful memories working in Cupertino. For the past two years, I have been thoroughly enjoying myself at the Mountain View Senior Center, facilitating ESL courses. I graduated from UC Berkeley with a B.A. in Oriental languages. I did some volunteer work at Berkeley, for the Pacific Film Archives next to the UC campus. I received my M.A. from San Francisco State studying U.S. military history from an Asian perspective. I have a doctorate in educational leadership from the University of Phoenix. As a United States Peace Corps Volunteer at Sam Yook Rehabilitation Center in Seoul, Korea, I worked with children with cerebral palsy. We did aerobics and movement, and of course, everyone learned ESL. I was my school’s representative and a committee member for A Very Special Arts Festival, a nationwide celebration in Seoul. After returning home, I went back to Japan, to further explore the beauty of its culture and language (and was fortunate to find work in Kyoto). I came back to northern California, as a full time elementary school teacher-for a number of years. In the meantime, I found time to travel and facilitate ESL courses in the People's Republic of China, Korea, and Saudi Arabia. A new member to the AIW Camp Family is Writing Ranger, Katy Carlson , and she is absolutely thrilled! 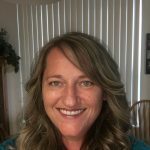 Prior to being a Writing Ranger, Katy has worked in many school districts up and down the Central Coast substitute teaching. 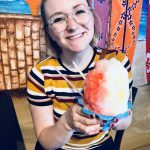 Katy will be a 4th grade Long Term Teacher starting in the Fall and just recently finished a Long Term teaching position in a Kindergarten class! Katy has her BA in Child Development and is pursuing her Masters Degree in Education in the Fall. Aside from teaching, Katy loves to cook, dance, decorate, and try new fitness workouts! She is very excited to create amazing memories this summer as well as dive into super creative writing that allows growth in everyone's writing abilities! Matthew currently teaches K-7th supplemental English and Reading at two schools in San Francisco's Mission District. While in high school, Matthew first discovered his passion for writing as well as leadership and community service. 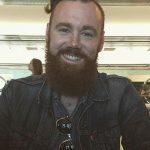 While attending California State University, Chico, Matthew worked as both a writing tutor at the Student Learning Center and a coordinator for Community Action Volunteers in Education (C.A.V.E. ), where he assisted the Boys & Girls Club of the North Valley to recruit university students to volunteer at local club sites. After graduating college, Matthew began to pursue his other passion in life, music. When he is not in the classroom teaching, Matthew can be seen playing some of the Bay Area's most prominent music venues and summer festivals. He is STOKED to be able to share both his passion for writing and music with everyone this summer at Adventures in Writing Camp! 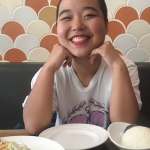 Rino Kodama is a third year Art student at UCLA, and she is very excited to be joining Adventures in Writing Camp for the first time as an Adventure Guide! She loves to journal and read, and you will always find her with a sketchbook in hand, ready to draw. When she isn't making art, you will most likely find her in the dance studio, as she has been doing tap, jazz, and ballet since young, and now focusing on hip hop. She has experience tutoring English, as well as working at another summer camp last year, and can't wait to be surrounded by all the kids' high energy again! 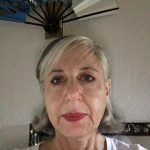 Rino is especially looking forward to working on storytelling through writing, as her art revolves around sharing her own experiences through drawing and film. Shreya is super excited to be an Adventure Guide! 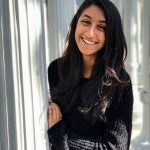 She is a rising junior at the University of Califonia, San Diego studying Cognitive Science with a specialization in Machine Learning and Neural Computation. Shreya loves working with kids and helping them unleash their potentials. 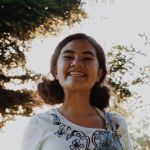 Throughout high school, she has worked with a variety of organizations including Breakthrough Silicon Valley to serve as a mentor and teacher to middle school students. She taught many subjects including Literature, Math, Speech & Debate, and even Improv! Shreya is deeply passionate about increasing equal access to quality education and finding ways to creatively teach curriculums. She hopes to use her degree to work in educational technology. In her free time, Shreya loves to explore the outdoors, bake her (not so) famous chocolate chip cookies, and dance. Sanah is excited to be an adventure guide! She is a rising junior at The George Washington University in Washington D.C. studying international affairs and criminal justice. Previously, she has worked as a tutor in Saratoga and as an assistant in after school care. 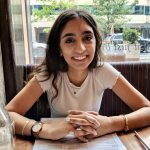 Sanah loves adventure, especially in the form of hiking, exploring, and hanging out with friends. Other than these, Sanah likes music, plays tennis, runs, reads, and writes! Daniela is an excited Adventure Guide who loves to work with children! 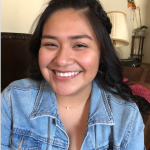 She just graduated from De Anza College and will be attending UC Davis in the fall majoring in Human Development to become a Speech Language Pathologist. Daniela always has a possitive attitude when it comes to finding new ways to have fun in the classroom with arts and crafts. Her hobbies include reading, painting, and photography. When she is not studying she is having adventures with friends in museums, different cities or she's hanging out at the beach. Daniela can't wait to see new and exciting faces at the start of camp! Frances Ambrose enjoys her 15th academic year substitute teaching K-5 for several public school districts in Santa Clara County. She has also taught Science and Lego robotics to K-3 for the past two summers and 5th Grade Math and Language Arts for 7 summers before that. Additionally Frances has taught summer school to ELL Kinder and ELL First Grade. She has a B.S. in Liberal Studies and a Multiple Subject Teaching Credential with CLAD from National University, San Jose, CA. Sub teaching has given her experience working with multiple writing curricula. She also has coursework in biology from U.C.S.C. and in Anthropology from S.C.U. She has traveled through 7 different European countries, Mexico and Canada. She was a volunteer excavator on a dig in Germany with University Research Expedition (UREP) where she uncovered and recorded the locations of 7,000 year old hazel nuts from the Lake Dwellers of Mesolithic Europe. Her hobbies include learning about different cultures, past and present, journaling and traveling. She is looking forward to having remarkable adventures in writing her first summer with A.I.W. camp! Lara's joining Adventures in Writing for her first year as an Adventure Guide and Secretary of Shenanigans this summer! She loves writing, art, and music, and loves to perform. When she's not out playing with a jazz band or writing, she's a physics major at UC Davis. She loves to cross the boundaries between art and science, whether it's through exploring the physics of music or exploring the engineering of the future through writing! 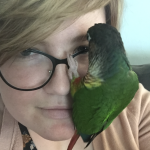 When she's not working on a new experiment, Lara loves spending time with her pets— a dog, a leopard gecko, and three birds (one of who's rather fond of the camera). Anne has been a teacher for 17 years, most of which have been at the elementary school level. She has taught everything from preschool through high school, but elementary school is by far her favorite! According to her students, Anne makes writing fun by inspiring them to use their creativity to create amazing stories. In her spare time, she enjoys walking, swimming, playing tennis, acting in plays, movies and on TV, singing karaoke, making craft projects, sewing, cooking, and reading. She has even published some poetry! Jill Davis is a high school student who loves to be adventurous. She loves to learn and loves to read! She enjoys painting and playing her musical instruments. She has been learning the piano since she was 5 and the violin since she was 3! She also loves to hang out with her friends and family and go on fun adventures. 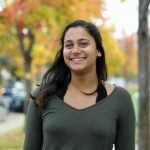 Siddhi is a freshman in college and loves going on adventures and being outdoors! When she isn't spending time with her friends and family she likes volunteering and being an active part of the community.